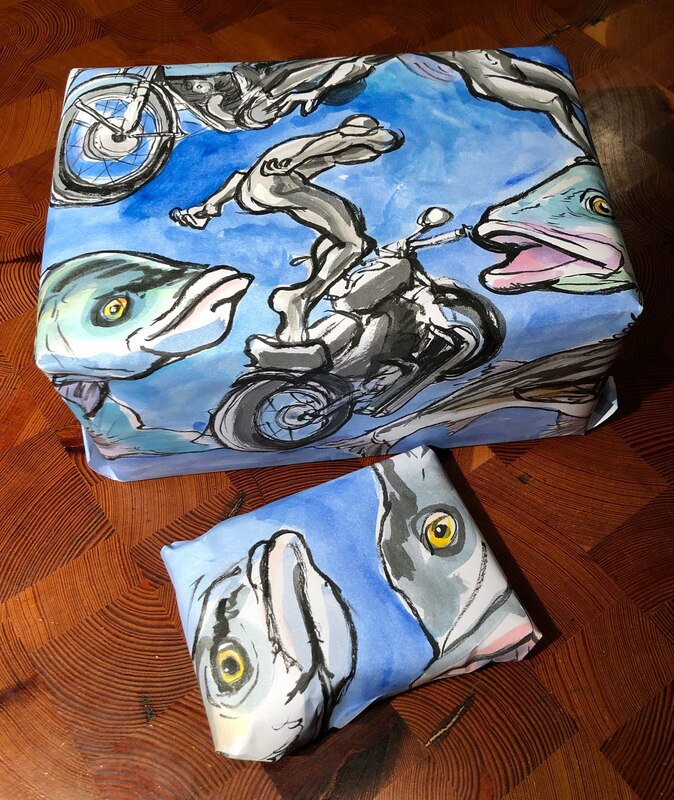 Napkins drawn by Nina Levy for her 15 and 11 year old sons. Daily for 10 years. Now that the kids eat in the school cafeteria: merely regularly. Because no one in the family should be exempt from my half assed opportunity to do some fast crappy, drawing with the excuse in mind that I am going to cut it up and tape it to some boxes. Not unlike the napkins, the three subject matters here are not things I know much about. The gift recipient, of course, has infinitely more knowledge. 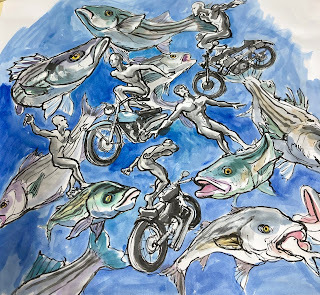 It became clear during the execution, that what I really wanted to draw most was the fish. I think the small package was the biggest success, at least as far as the wrapping went. The contents, probably not so much. 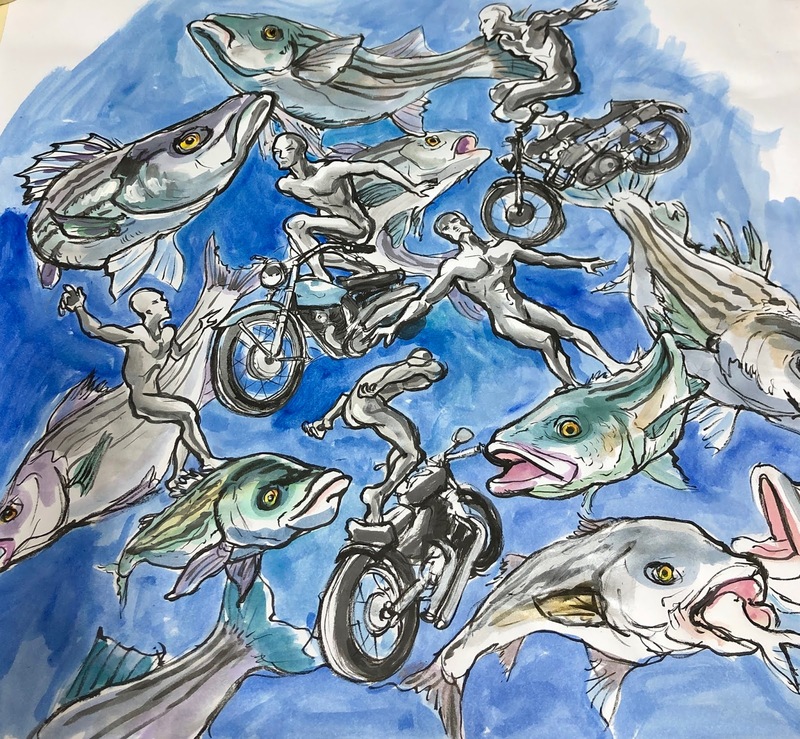 I think I still might have an unresolved urge to draw the Silver Surfer riding a silvery fish (striped bass anyway) so maybe there is a napkin iteration coming.